My love affair with all things Italian, especially the food, started long before I took my first trip to Rome as a teenager. One of my fondest food memories from childhood is eating at "fancy" restaurants once a week with my grandmother. She was an expert on foods of the world, having spent the last twenty years of her life travelling all over the map from Nepal to London, Kenya, Paris, and Rome. She would take me to the one Italian restaurant in Long Beach, California with an Italian chef and tell me that it was almost like being in Italy. It was on one of these "date nights" that I first experienced pesto genovese: the heat of raw garlic with the sweet fragrance of fresh basil along with the salty creaminess of real parmigiano reggiano (something that has nothing to do with that sawdust in a green can) plus the chewy texture of ground up pine nuts mixed with olive oil that actually tastes like olives. I was hooked. To this day it is one of my favorite combinations of flavor. 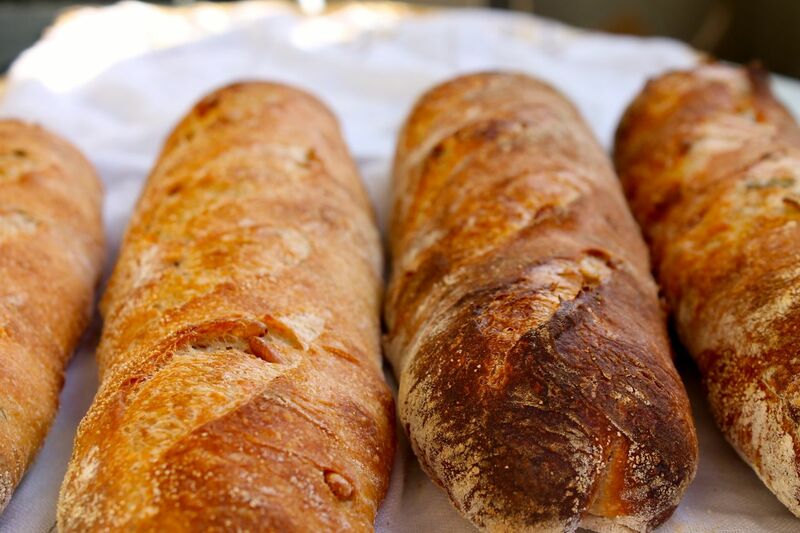 Of course, I couldn't resist playing mad scientist by infusing my baguettes with pesto flavors instead of just making pesto and dipping my bread in it. The result was so ridiculously good it made me giggle. This takes "garlic bread" to an entirely different level. 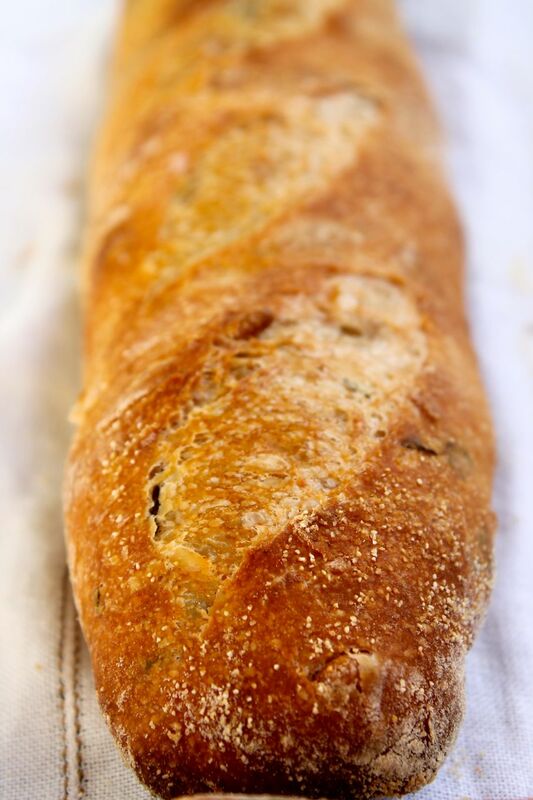 I used txfarmer's fantastic 36 hour baguettes recipe. The only difference is after the autolyse I added about 1/3 cup of fresh basil cut into a chiffonade, raw garlic cut into small chunks (large enough so even with the baking they retain some raw garlic bite), about 1/2 cup of toasted pine nuts and about 1/3 cup grated parmigiano reggiano. I also used quite a bit of good olive oil in the bowl and on my hands during folding, and a bit of that flavor comes through as well. Best enjoyed with a bottle of pino grigio, thinly sliced prosciutto di parma, fresh figs and chunks of parmigiano reggiano, while sitting with someone you love in the shade of a Roman pine at the Villa Borghese gardens. 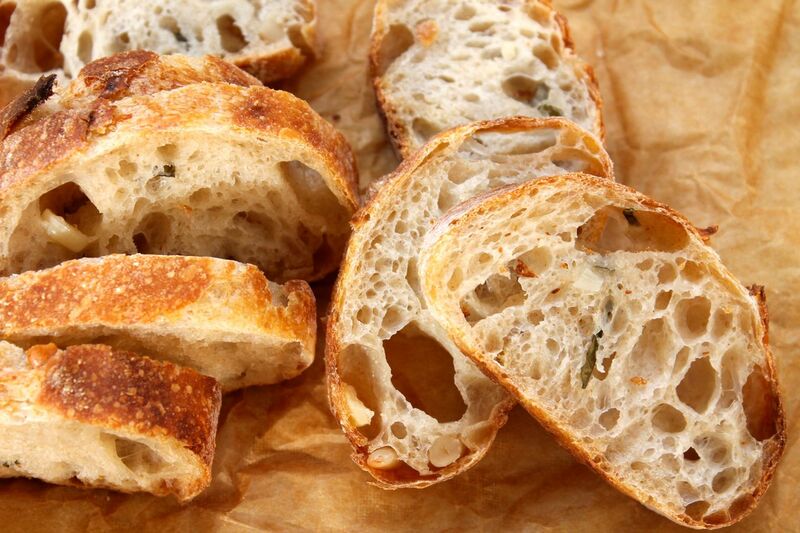 If you can't swing all that, just take a deep whiff of that garlic and basil and caramelized wheat. It's almost like being there. I have been following your baguette journey for a while and they are looking incredible!!! You are really having tremendous success with txfarmer's recipe! I have made them only once so far, I need to start doing what she and you seem to do: keep repeating this technique/recipe until the outcome is as perfect as the pictures above. Bravo! 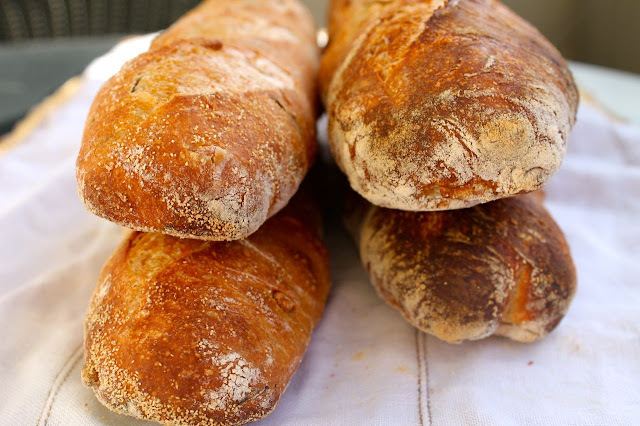 These baguettes look amazing! I have been meaning to try this recipe for a long time now, but have never gotten around to it! I might just need to do it after seeing how perfect your loaves are! Diverse individuals have particular needs in a weight training schedule. Some working out schedules may be excessively burdening for adolescents who have littler and less created muscles. www.greenvisa.io/ Keep these tips under consideration and you are bound to be in a position to have the best beach trip ever. When this happens, they may have eaten the wires and electric components of your toaster thus the malfunction starts.